French producer & DJ Ferry Tayle was born in 1982. His first musical experience was with jazz. He started playing the saxophone at the age of 7. He became interested in electronic music by discovering Jean-Michel Jarre's first album. After 14 years of jazz music he decided to move into electronic music. He bought his first decks in 1999 and began to DJ. In 2000, he took his first steps in his professional development in the biggest club in the east of France called "Le Colysée". In just one year he had the chance to share the decks with some big names like Cosmic Gate, Darude, U96 and very well known French house DJ, David Guetta. Later, he met and became friends with Nicolas "Cosmic Dreams", DJ & founder of Elektro-Shock, a French electronic music association. During some different events with Elektro-Shock, Ferry met TonKs, and became best friends. In 2001, he created his first project under the name Blackmoon Traxx with his two friends, Stephan & Vincent. After several unfruitful productions it was their remix of Ohm Boys - Thinking of You, one of Alex M.O.R.P.H. 's projects, which was released on Red Silver Rec. (a UK label) & brought Ferry Tayle & Blackmoon Traxx into the public scene. During the summer 2004, Ferry Tayle & TonKs had the honor of sharing the decks with Rank 1 & Alex M.O.R.P.H. during the first big trance event in France. Following this event, Ferry decided to combine the TonKs' sound with Blackmoon Traxx. In November 2004, the new project Everest was born. In December, in search of a vocalist for this project, he met Tashita, a female Belgian artist. In 2005, Everest made their first track called Orée. Released in April 2006 on famous UK label Monster Tunes, Orée was the first turn in Ferry's career. In 2005 the track was featured on famous compilations like Sensation White Holland Edition (ID&T) and Technoclub Next Vol. 2 mixed by the legendary Talla 2XLC, and was massively supported by Paul van Dyk (2 times voted as the best DJ in the world), Armin van Buuren, Ferry Corsten, Robert Gitelman, and Stoneface & Terminal. Still in 2005, Ferry Tayle next met David Emonin, a Franco-American fellow who was on the ETN.FM Admin Crew. A few months later, Ferry joined the ETN.FM DJ team and his show Universal Language attracted more & more worldwide attention. In August 2005, Ferry Tayle & Everest did their first live act in Lyon alongside Signum, Niklas Harding, Menno de Jong, Rank 1, Misja Helsloot, Sonicvibe & Nu-NRG. 2006 became the second big turn of Ferry Tayle's career. At the beginning of this year, Ferry Tayle met the genius L-Vee (Airwave). He proposed to Ferry to be his co-producer of the famous project Cape Town. In March, Proglifter was born and was the sign of the huge comeback of this project. Supported by Armin van Buuren, Above & Beyond, DJ Shah, Pedro del Mar, Manuel Le Saux, Proglifter was acclaimed as one of the best tracks of 2006. Vol De Nuit was another smash in 2006 produced with longtime friend TonKs. In 2007, Vol De Nuit saw a release on Camouflage with a variety of excellent remixes which was supported by the biggest DJ across the world. Following that success, Ferry Tayle continued releasing massive tracks in partnership with Laurent Véronnez aka Airwave under the name of Cape Town. Métaphorique and Duo were huge hits that led up to the first Cape Town artist album Aviateur which was released in February 2008. This album contains brilliant trance throughout including brand new productions and some new versions of some older favorites. 2008 ends on a high note for Ferry Tayle with his Carnet De Vol album. This album features a wide range of trance and ambient featuring the talents of various artists like Manuel Le Saux and Stephan R. Revanche and Duo both make appearances on this incredible album which is sure to excite all trance fans! 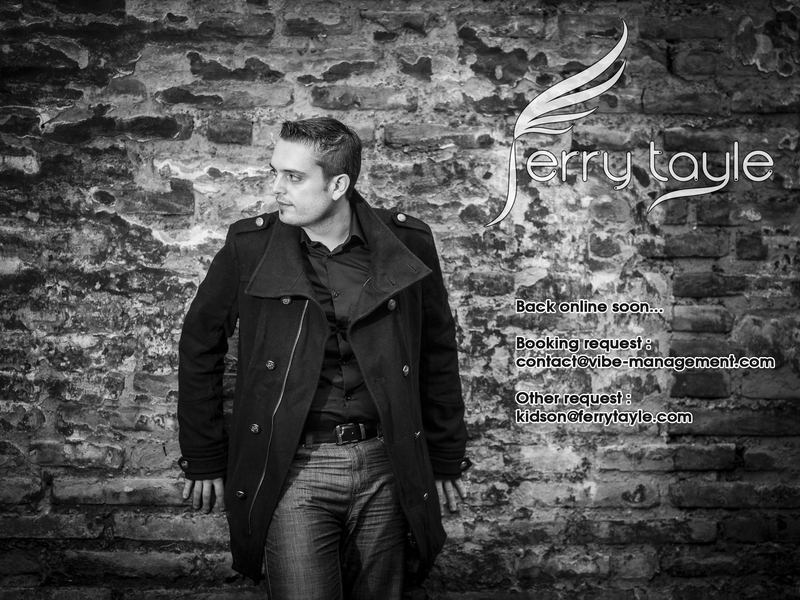 With more and more productions and remixes in the works, Ferry Tayle is bound to be one to follow in 2009 and beyond.